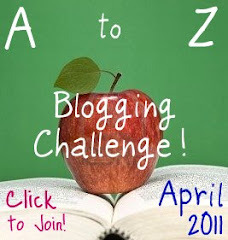 “Q” is for QUEEN VICTORIA! As an American living in London for a couple years, the letter “Q” automatically carries my thoughts to “Queen.” Well, it’s either that or “Quidditch”…and I hate to break it to you, but that game isn’t real…Harry Potter doesn’t really exist here in the UK…(but try telling that to these guys: “Quidditch for Muggles“…and okay, while on the topic, I have to toss you this too: “Like it’s Quidditch“). Enough! I can’t believe I’m actually derailing this away from Britain’s longest-reigning monarch! Okay, so Queen Victoria. Rather than delve into her personal history, I thought I’d point out how much a part of your everyday her era will be once you move to London. To start, if ever you find yourself strolling through the lovely Kensington Gardens, take a gander at that stately building on its west end: Kensington Palace, where Victoria grew up as a princess and was proclaimed the successor to England’s throne at the young age of eighteen. You’ll note a large statue of her as Queen overlooking the grounds’ Round Pond, and if you head west on Kensington High Street, after doing some shopping to doll yourself up like a princess, hang a left onto Earls Court Road and take a rest at the Princess Victoria pub. If you walk eastward instead, though, you’ll see two notable structures standing in Victoria’s husband’s memory: Royal Albert Hall and the Prince Albert Memorial just across the way in the park. And if you dip down from there into South Kensington, you’ll of course chance upon the well-known Victoria & Albert Museum. 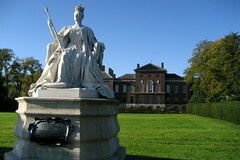 As Queen, Victoria moved out of Kensington Palace to stretch her legs more at Buckingham Palace. She was the first sovereign to live there as of 1837, and her statue can be seen as part of the Victoria Memorial just in front (where tourists love to sit these days to watch the Changing of the Guard). She also occupied Windsor Castle and other residences outside London. Speaking of residences, the strips of terraced housing that we see lining many-a street in London emerged during the Victorian era. Built with shared walls, their design was energy-saving for heating and also enabled more people to occupy less space. According to Inside the Victorian Home, whereas at the turn of the century only 20% of Britain’s population lived in its cities, 80% did by Queen Victoria’s death: “One-third of the houses in Britain today were built before the First World War, and most of these are Victorian.” And the black railings that we see adorning these houses and park fences were a direct influence of Queen Victoria’s—not only did she wear black the rest of her life upon her dear Prince Albert’s death, but she had all of London’s railings painted black to symbolize her grief as well. And, of course, the London Victoria rail station will likely figure into your commute at some point, whether via the Underground (one of the tube lines also being named for Victoria) or the overground train (I often take the Gatwick Express train to Gatwick Airport from there). The Victoria coach station is also located here if you travel by bus. So maybe I could have easily used this topic for the letter “V” instead, but I have other plans for that… At any rate, you can get a quickie glimpse into Queen Victoria’s life by watching The Young Victoria and, better yet, study up on the woman from right here in your new London apartment or assorted authentic London locations.